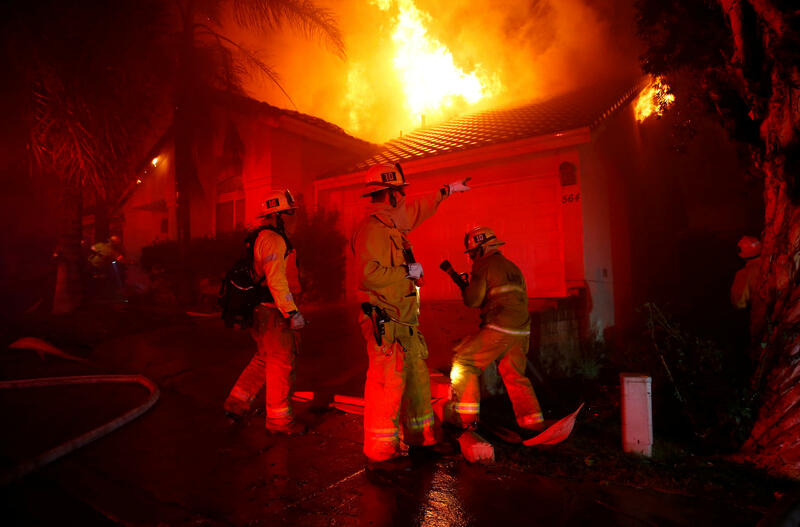 Firefighters try to beat back the Woolsey Fire in the early hours of Friday. One day earlier, the blaze ignited as mourning residents tried to cope with quite another kind of terror in Thousand Oaks, Calif. 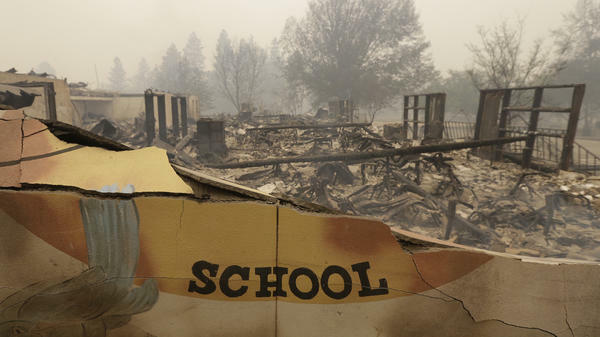 The burned remains of Paradise Elementary School is seen Friday, in Paradise, Calif. Authorities say a wildfire has all but destroyed the Northern California town. 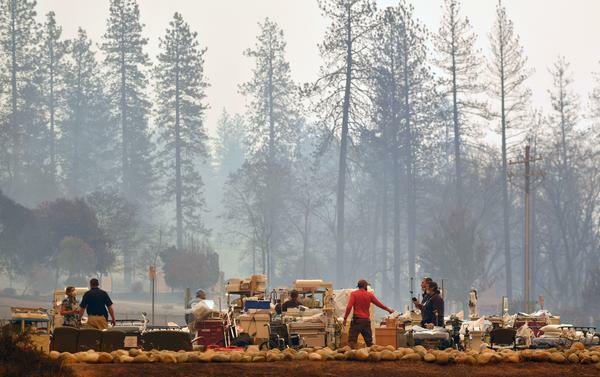 Search and rescue teams scramble to get patients and medical devices to safety as the Camp Fire cuts a fiery path through Paradise. 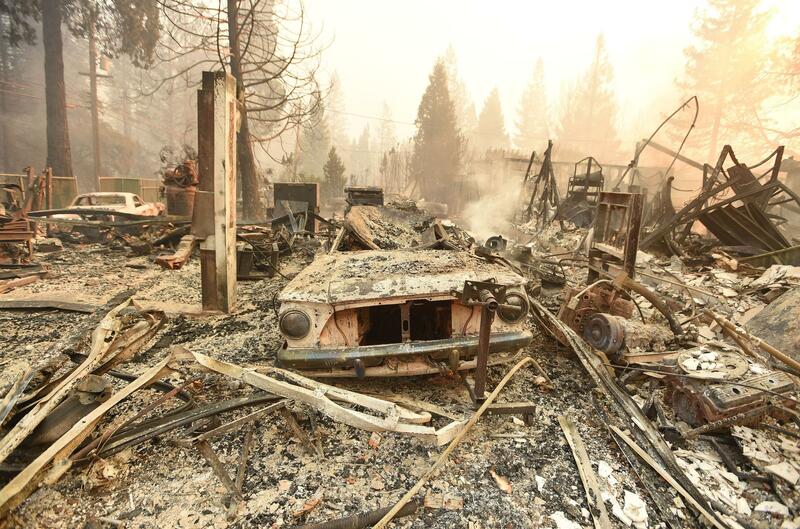 The charred remains of a vehicle and home in Paradise destroyed by the Camp Fire on Thursday. 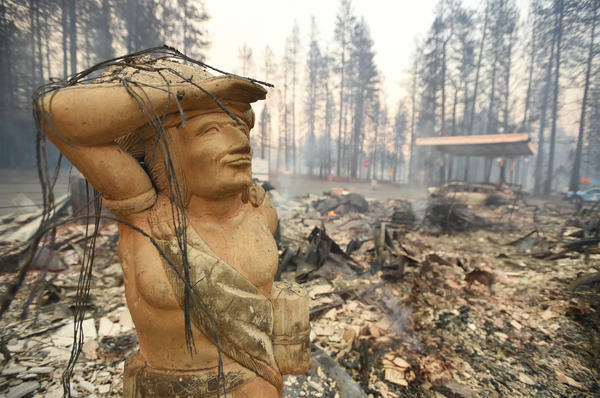 A statue stands amid the rubble of a smoldering property Thursday in Paradise, which was ravaged by the Camp Fire.